1. 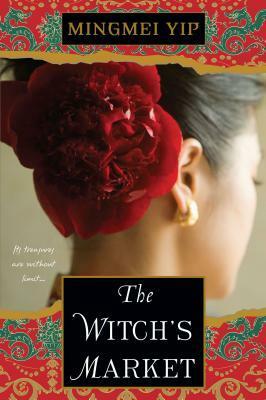 The Witch’s Market by Mingmei Yip for review from the author. 2. LOVE by Beth Kephart, which I purchased. This volume of personal essays and photographs celebrates the intersection of memory and place. 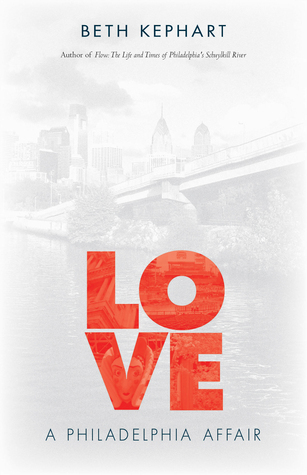 Kephart writes lovingly, reflectively about what Philadelphia means to her. She muses about meandering on SEPTA trains, spending hours among the armor in the Philadelphia Museum of Art, and taking shelter at Independence Mall during a downpour. 3. 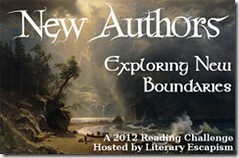 The Edge of Lost by Kristina McMorris for review from the author. 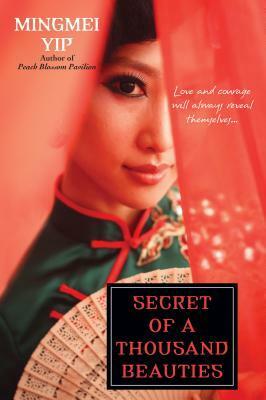 Secret of a Thousand Beauties by Mingmei Yip is set to be published Nov. 25, 2014, and is the latest release from Yip. I’ve reviewed Skeleton Women and The Nine Fold Heaven, which I enjoyed. Today, Mingmei Yip has agreed to join us and answer some questions about her novel and her work. Please give her a warm welcome. Story ideas usually pop up in my mind, mostly triggered when I am reading, watching a movie, looking at art works in a museum, or just day dreaming. Not long ago I saw a book on embroidery in a bookstore and was inspired to write a novel about embroiderers and the painstaking efforts they apply to create their beautiful works. That novel is my newest, Secret of a Thousand Beauties. The idea for my third novel, Song of the Silk Road – a romantic adventure on China’s fabled route with a promised reward of three million dollars — came to me in a dream. The heroine of your latest book, Secret of a Thousand Beauties, is a strong and independent woman like the women in your other novels. Why do you choose to write about these women who live in cultures that tend to curtail their independence? All my protagonists are brave and strong women who relentlessly overcome hardship and tragedy to live life on their own terms and achieve happiness. It is hard now even to try to imagine the miseries women had to endure in traditional China such as marriage to a dead fiancé, making them the slaves of the dead man’s parents, or being forced into prostitution, yet not being allowed to marry or keep their babies. Some of my characters are inspired by the lives of actual women, including Camilla the singer-spy in my novels Skeleton Women and The Nine Fold Heaven, and the teenage prostitute Xiang Xiang in my debut novel Peach Blossom Pavilion (now in its 5th printing!) I feel honored to be able to give these once-silenced women their voices. Also, by writing about them, they have become my teachers of determination, courage, and compassion. What are your first loves as a reader about novels? Do you prefer plot or characterization? Both. But if I have to choose, insightful description of human nature are more satisfying to me than plots filled with twists and turns. Do you prefer to write historical fiction and would you consider writing something more contemporary? Among my seven novels (the 7th one will come out in 2015), four are historical – Secret of a Thousand Beauties; The Nine Fold Heaven; Skeleton Women; Peach Blossom Pavilion and two are contemporary – Song of the Silk Road; Petals from the Sky. I also wrote and illustrated two children’s books: Chinese Children Favorite Stories and Grandma Panda’s China Storybook, both published by Tuttle Publishing. Who are some of your favorite authors/poets? My favorite authors are Eileen Cheung and Echo, unfortunately both deceased. In the West, I read almost everything by Lisa See, Amy Tan, and Anchee Min. What current projects are you working on? Care to share any details? My next novel, which will be my seventh is The Witches Market, about a young woman who has suddenly acquired supernatural talents. After this realization, she travels to the Canary Islands, seeking witches against whom to test her own powers and calling. Besides writing, I perform on the guqin, a very ancient Chinese instrument which I’ve been playing for over thirty years. I also teach calligraphy workshops for both adult and children at many venues including the Metropolitan Museum of Art, Lincoln Center, CUNY and others. All these activities help provide material for my novels. Thank you, Yip, for joining us today. Check her out on Facebook, Twitter, and GoodReads. Skeleton Women‘s Heavenly Songbird Camilla returns in The Nine Fold Heaven by Mingmei Yip (check out Chapter One) after a quick exit from Shanghai in the 1930s into Hong Kong. She’s hiding out away from the gangsters she betrayed, but this once emotionless spy now must endure guilt and longing. She does not know the fate of her love Jinying, nor of her lover Gao, but more importantly, she knows that her baby, Jinjin, is alive but not where he is. Yip has a firm grasp of the atmosphere during this period in Shanghai, a time when gangs ran the government, businesses, and held everyone else at gunpoint. The corruption, backroom deals, and fear permeate this novel, and Camilla is forced to return to Shanghai even though her life is clearly going to be in danger there. Using her skills as a trained skeleton woman — which include seduction — she is able to disguise herself and create plausible stories on the spot, but the trick now is not to let her emotions rule her, which in some instances they do, leading to trouble. While Camilla searches for her baby, she’s also searching for her lovers, but in the midst of her investigations she meets up with an American ambassador who could offer her protection from the gangs and falls into the hands of Rainbow Chang, a gossip columnist and head of the Pink Skeleton Women. At many times, she is in danger, and in spite of this danger, she’s confident she has the perfect plan for escape, but given that the novel is told from her point of view, readers also will hear her inner demons and learn of her shaky confidence. Wallowing in self-pity becomes a mantra for Camilla early on in the novel, and it becomes a drone in the background even as the plot moves forward, making it difficult to like the protagonist. However, her determination to find peace and her family are rewarding and helps build an emotional connection with the reader, especially given her sordid past as a skeleton woman and a sad orphan. The Nine Fold Heaven by Mingmei Yip is peppered with poetry, proverbs, and more, and it’s a solid follow-up to Skeleton Women (which does not have to be read first), though the ending could be an opening for a third book. Yip is talented and understands how to create a story that is deep in its passions and exciting in plot. While Camilla can be hard to love, her plight is age-old. Kensington author Mingmei Yip believes that one should, besides being entertained, also get something out of reading a novel. Her new novel is Skeleton Women is about survival, letting go, and finding love and compassion. Her debut novel Peach Blossom Pavilion is the story about the last Chinese Geisha and also that of courage and the determination to succeed and attain happiness. Her second novel Petals from the Sky, a poignant Buddhist love story, is about wisdom, compassion, when to persist and when to let go. Her third novel Song of the Silk Road is an adventure love story between an older woman and a younger man with a three million award on China’s famous, dangerous route. For more about the author and her books visit her Website, on Twitter, and on Facebook. Mingmei Yip has been writing and publishing since she was fourteen years old and now she has twelve books to her credit. Her five novels are published by Kensington Books and her two children’s books are published by Tuttle Publishing. 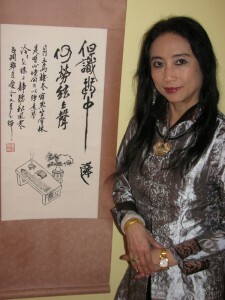 Mingmei is also a renowned qin (ancient string instrument) musician, calligrapher and painter. In Hong Kong, she was a columnist for seven major newspapers. She has appeared on over sixty TV and radio programs in Hong Kong, Taiwan, China, and the US. Visit her Website. Come along with an ex spy as she returns to Shanghai where she’s a wanted woman – but she has to search for her baby and her lost lover. Is her baby really alive? Will she be able to find her lover? Can she elude the police long enough to find them? Learn much more about The Nine Fold Heaven and Mingmei Yip. Nine Fold Heaven is part of a series about Camilla the songbird and female spy – you can also read Skeleton Women, the first book about Camilla. Today, I’ve got a great guest post from Yip about her writing space. Please give her a warm welcome. Writing space: I only write at home. I can’t write at cafes, since most have loud music which is a distraction for me. But when they play classical music, then I stop writing and listen, so that does not work for me, either. I consider myself lucky to have a small room just for myself in my apartment which I use as my writing space. Luckily, my little room has a view of the north side of Manhattan and the East River. So, when I just can’t type anymore, I lift my head and soothe my eyes by staring at the peaceful scene outside the window. Soon I am refreshed and back at work. I have decorated my writing room with some of my favorite things – books, plants, flowers, my own paintings and calligraphy. Writing is a solitary and difficult journey, so I try to fill my space with what I find both beautiful and spiritually inspiring. I also keep amulets next to me for protection, just in case. Writing habits: I don’t have a chance to write every day, because like everyone else, I have other responsibilities in life. So when I have a chance to write, I write as much and as long as I can. This is like gorging yourself when you don’t know where your next meal is coming from. In any case, it is what works for me. It helps that I can take a nap whenever I want. Writing tips: I plunge into writing and ignore everything around me. Since I was a tiny girl I have always preferred life inside my own head. Whenever I have writer’s block, I’ll read or watch a movie. This usually triggers ideas for me so I can go back to write. I also read a lot, not only to feed my imagination and creativity, but also to have a point of comparison for my own writing. I think it is still essential to master the basics. Not only voice, characterization, dialogue, plot, but also sentence structure, its rhythm and music. I always try to vary the length of my sentences and start each one with a different subject. It’s essential to spent whatever time it takes to find the right word. Sometimes, it is a single word that brightens a whole paragraph. There is a Chinese saying “Slap on the thigh and exclaim!” That’s how the readers will react to a good choice of word. Readers may not be aware of the meticulous hard work behind a smooth sentence, but if you don’t pay attention, they will soon become bored. I also think it’s good for authors to attend other cultural activities such as movies, concerts, art exhibitions. Have as diverse a background as you can cultivate, that really helps. Most important, don’t give up! The ancient Chinese philosophy classic, the Daode Jing says more things are spoiled in the end than the beginning. Stick through to the end. Thanks, Mingmei, for sharing your writing space with us, as well as your writing habits. I’m the opposite, too much quiet and I can’t write. 1. Everybody Has Everything by Katrina Onstad, which came unexpectedly from Hachette Books. After years of unsuccessful attempts at conceiving a child, Ana and James become parents overnight, when a terrible accident makes them guardians to 2 ¿ year-old Finn. Suddenly, two people who were struggling to come to terms with childlessness are thrust into the opposite situation-responsible for a small toddler whose mother’s survival is in question. Finn’s crash-landing in their tidy, urban lives throws into high relief some troubling truths about their deepest selves, both separately and as a couple. Several chaotic, poignant, and life-changing weeks as a most unusual family give rise to an often unasked question: Can everyone be a parent? 2. 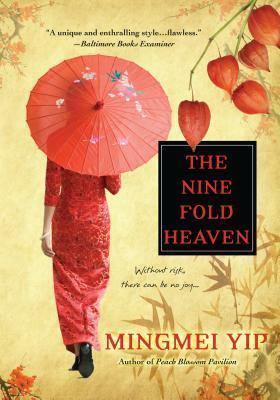 The Nine Fold Heaven by Mingmei Yip, which came from the author for review. When Shadow, a gifted, ambitious magician, competed with the beautiful Camilla for the affections of organized crime leader Master Lung, she almost lost everything. Hiding out in Hong Kong, performing in a run-down circus, Shadow has no idea that Camilla, too, is on the run with her lover, Jinying—Lung’s son. Skeleton Women by Mingmei Yip is set in 1930s Shanghai when gang leaders are at odds over the foreign and domestic business, but in the shadows are skeleton women who can make men fall in love with them and be willing to risk everything for them, even their lives and fortunes. Heavenly Songbird Camilla is tied to the Flying Dragons boss Mr. Lung, but her agenda is more secretive as she seeks to fulfill her duties to a rival gang, the Red Demons and Mr. Wang. An orphan turned spy, she sings on stage and warms the bed of Mr. Lung at night when she meets his son, Jinying, who has fallen head over heels in love with her since first hearing her sing at the Bright Moon Nightclub. Camilla puts on a confident air, but when she is surprised by the talents of the Shadow, a magician at a competing club, and bristled by the critiques of gossip columnist Rainbow Chang. While she contrives scenarios in which to make herself seem superior and to maintain her place with Mr. Lung, the presence of his son is unsettling. Readers are taken on a journey through Camilla’s time with the gangs and the adventures that leaves them in suspense about the success of her mission. However, there are moments when devices such as lipstick cameras are mentioned that may or may not be historically accurate (I was unable to find a history on these objects), and the quickness with which Jinying falls for Camilla is a bit too abrupt. The quickness of Jinying’s affections could be due to the narration’s point of view, which is Camilla’s as told from sometime in the future about the past. And while she is uneasy in his presence, it is clearly more about lust than about true love. The only other points in the book that could distract the reader are the repeated references to her repeated training as a spy and skeleton woman and Camilla’s continued references to Sun Tzu’s strategies and The Art of War. On the other hand, there are great little historical tidbits from China’s past, including the overthrow of previous kings and legends from Chinese history, that are highlighted by Camilla’s story as an illustration of how even the best strategies do not always work. More interesting are the parts about her actual training and her need to learn endurance to stave off the pain of torture, as well as her focus on becoming nothing or dead so that the enemy cannot torture her through others, thus depriving herself of emotion and connection to others. Yip is adept at creating the sense of deception throughout the novel and the dangers around every turn, as she is at creating the illusion of emotion through Camilla and her interactions with others. Skeleton Women by Mingmei Yip is a novel that is less about 1930s Shanghai and its troubles and more about the women who made it tick and set the stage for change, with or without consciously knowing they would. Yip creates an allure in the prose that is reminiscent of the skeleton woman’s ability to manipulate the emotions and actions of others. The true test comes when one can coax a skeleton woman into feeling love and the sacrifice that sometimes follows. This is my 69th book for the New Authors Reading Challenge 2012. Mailbox Mondays (click the icon to check out the new blog) has gone on tour since Marcia at A Girl and Her Books, formerly The Printed Page passed the torch. This month’s host is 5 Minutes for Books. 1. Skeleton Women by Mingmei Yip, for a TLC Book Tour in September. 2. The Vampire Diaries Stefan’s Diaries Vol. 5 The Asylum, which I ordered with a gift certificate I had for my birthday from Barnes & Noble, though two other books I ordered have not arrive yet. 3. I’m Just Sayin! by Kim Zimmer (Guiding Light’s Reva Shayne!) and Laura Morton for review from Penguin. 4. A Walk in the Park by Jill Mansell for review in November. 5. Ladybug Girl book and doll set by Jacky Davis and David Soman, which I ordered with my giftcard.